An old friend has dropped in to visit me, but the circumstances seem strange, trying to figure out why they have decided to replace a perfectly good window in my living room has me baffled. At the time of a Full Moon, our psyche becomes ripe with messages to assist us in our present life. It is almost as if our Soul is rubbing its hands together with excitement and is impatient and eager to produce and direct the movies that will play out for us whilst we are sleeping. Our dreams become more vivid and intense a few days before the moon is full and usually a few days later as well. Maybe for you personally it is a time of dreaming when typically you don’t usually dream at all, or perhaps your dream time becomes lucid during the cycle of the moon! 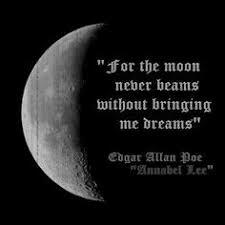 Dreaming often and especially around the Full Moon and New Moons have always been the case for me. I have especially noticed the more intuitive I become the more vivid and intense are my dreams. Our natural intuitive nature begins to truly thrive when we are more privy to our Ego mind. Once we become aware of our Ego’s voice we are then able to more easily separate its voice from our intuitive feelings and opinions. While this process is happening the Universe see’s this internal opening as an opportunity to spring into action. Dreams can be an array of hidden communications, it may not be so easy to decipher their meanings. Our Soul is a very intelligent energy and the motion pictures that set the silver screen while we are sleeping can be extraordinary and powerful. You may discover a pattern in your dreams, it is a good idea to have a ’Dream Journal’ beside your bed so you can jot down any details you remember when you wake up. You have to catch the memories before your Ego wakes up and draws your attention away, it is easy to forget what you dreamed about when your Ego is already demanding your attention in several other directions. I’m not sure what the message is yet, my old friend replacing my window in my dream last night, I will ponder it some more. Sweet dreams for you tonight, and remember the Moon is full on the 31st this month. Don’t ignore the messages that come to you while you are sleeping.